Sometimes we chose our Chapter Be, sometimes it happens to us. Jason Regier is an amazing example of how you take an unexpected life event and turn it into something good. In 1996, Jason was in a car accident that left him without the use of his legs. His injury forced him to create his own path. It not only brought him things that he might not have expected, but also allowed him to really focus on what he felt was important in life. Less then a year after his injury, Jason started playing wheelchair rugby – a sport that was brought to the world’s attention through the 2005 documentary, Murderball. Jason had always been an elite athlete and was determined to continue to be one. 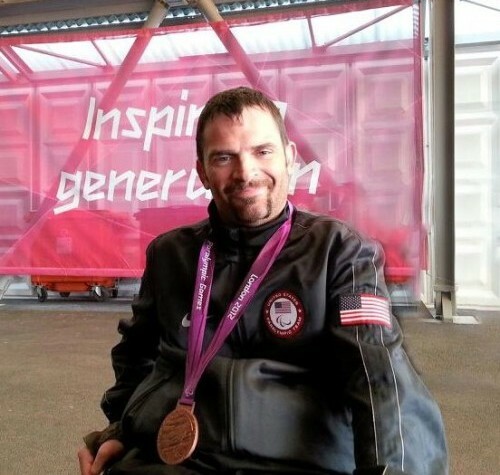 It was through his love and dedication for the sport that he eventually pursued two master’s degrees, was motivated to start sharing his story with a wider audience and eventually was competing in both world championships and the Paralympics for Team USA. The Paralympics originally started in 1947, when so many veterans came home with spinal cord injuries. Jason has been committed to not only participating in the games, but also building an audience by being an advocate for educating people about the competition. Jason is now principal of his own company called Spellbynder, which handles his motivational speaking engagements across the United States. This summer he was in Denmark for the International Wheelchair Rugby Federation (IWRF) World Championship. The US team ended up coming in third place behind Australia and Canada. Jason’s story is one of inspiration, dedication and hard work. He continues to shape it and is allowing his journey to dictate where he goes next. Read on to learn more about his Chapter BE story.